When it comes to buying goods or products for whatever use, always check quality before making a purchase. Quality is what determines whether you get value for your money or not. Therefore, it is essential to make an effort to know how to verify the quality of a product you are interested in before you can commit your hard earned money. It goes the same way when it comes to buying agricultural products like the net wrap. There are many dealers out there, and so if you aren’t careful, you can easily be scammed into buying substandard products which will later affect the expected results. When buying net wrap or any other baling products, your main aim is to be able to preserve quality feeds. Therefore any compromise on the quality of the net wrap will affect the quality of the feeds, and prevent counting losses. To ensure you are getting a quality net wrap, below are a few things to consider. The main reason why net wrap has grown in popularity is the fact that you need not have a storage space unlike when you make hay. 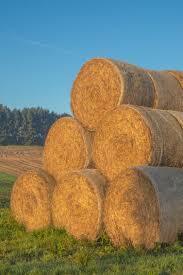 It is because the net wrapped bales can be left outdoors without worrying about damages caused by weather changes. For this to happen, the net wrap needs to be UV stable which assures the livestock farmer that the wrapped hay bales will be safe from extreme sun rays which would lower the quality of the feeds. Therefore, when buying the net wrap, ensure that you check this feature. If the supplier cannot guarantee UV stability features, walk away and look for another supplier. When using the net wrap, the wrapping is mechanised, and a special tractor wrapper is used to wrap the bales. The process is speedy, and there is a lot of mechanisation that takes place. Therefore, the net wrap needs to be very strong and tear-resistant for proper wrapping and handling. When buying the net wrap, you may not always get what is promised in the packaging bag. Some manufacturers are not honest and will provide the wrong figures regarding the measurements of the net wrap. Therefore, you need to buy from a manufacturer or dealer who can guarantee that if you are ordering a 9840-foot by 51 inch net wrap, you get precisely that. This way you can be able to plan and know how many bales of net wrap you need. If the supplier can guarantee you all these and more, then by all means, order from them.